Eldridge Plays and Musicals. 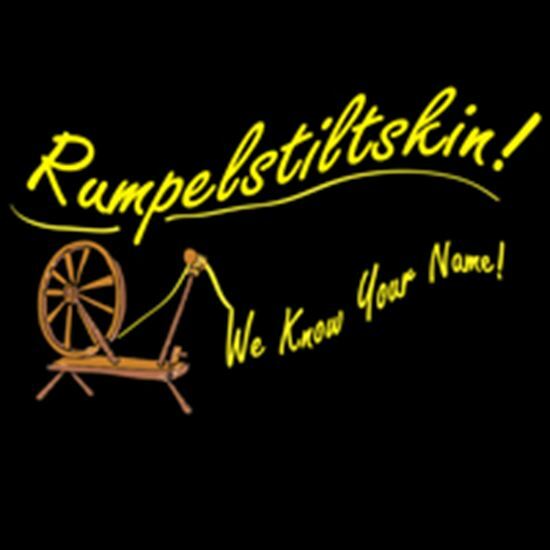 Rumpelstiltskin! We Know Your Name! Q: WHAT INSPIRED YOU TO ADAPT THIS STORY? For me the story of Rumpelstiltskin had a challenge to it. The character cast as the villain plays by the rules and suffers a disability which should make us sympathize with him. The characters who ought to have our sympathy don’t earn it. The father’s foolish boasting endangers his daughter’s life. The daughter makes a horrible pact in order to extract herself from the terrible situation her father has put her in. The challenge was to write the play in a way that didn’t skirt these issues but didn’t plunge the story into gloom because of them either. Q: WHAT’S YOUR FAVORITE PART OR LINE IN THE PLAY? There’s a part in the second act where the king is dazed because of his airplane crash and Miller keeps disguising him to try to trick Rumpelstiltskin into revealing his name. It’s an absurd premise and builds on it through the logic of farce. I love writing plays for children because I’m never in any doubt about what the audience reaction is. If a passage bores them they show it. On the other hand, when they like something they laugh and cheer and applaud and interact with the actors as naturally as if they were talking to their friends. To see them pleased by something I have done is the best reward I get for what I do.